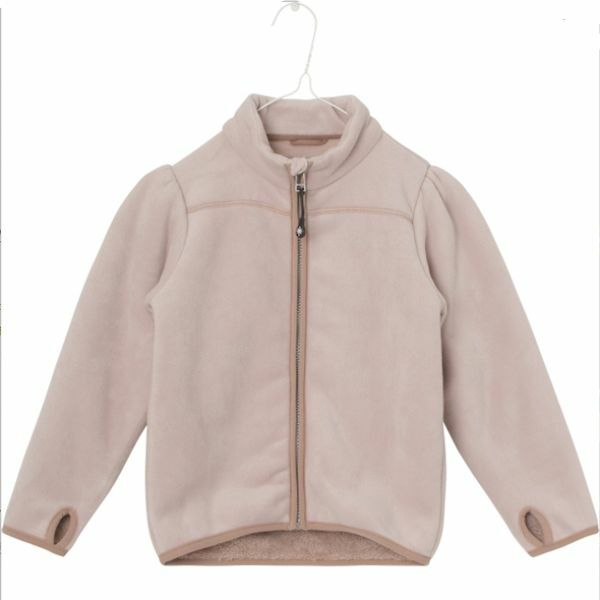 Fleece jacket by MINI A TURE for girls in pink is made of an ultra-soft teddy fleece with a double cut anti-pilling. The jacket has puff sleeves and a cute girly expression. The fleece jacket has zip closure.